Lucia Magnani Skincare is potentially one of my new favourite skincare brands. Not only are the products absolutely incredible (review to come soon), but the whole ethos of the brand is wonderful. 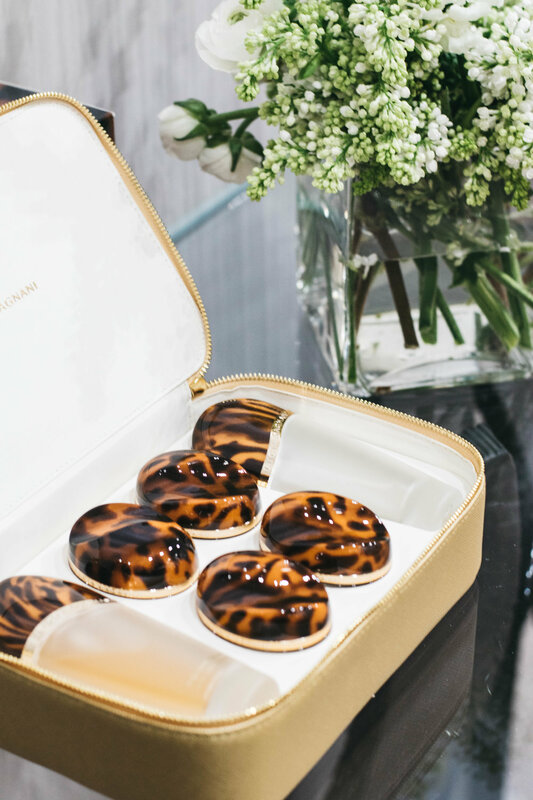 But there's definitely an exclusivity surrounding the brand as until now, it was only available at Harvey Nichols in London - but it's just launched at Harvey Nichols in Manchester. The skincare range was developed following the success of Lucia Magnani's spa Castrocaro which focuses on well-being as an entirety. Lucia believes that true beauty and happiness is impossible without health and true well-being, which is something that she aims to run through the skincare collection. 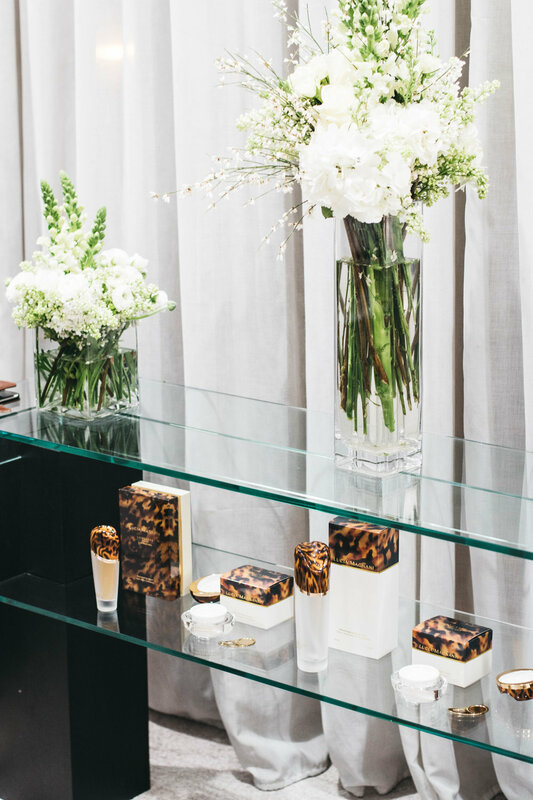 The event was beautiful and definitely stayed true to the brand as it had an almost complete focus on the products. The range features a Daily Firming Hydrator, the Retexturising Radiance Mask, Rejuvenating Eye Cream, Rejuvenating Night Cream, Rejuvenating Serum and a Refreshing Energizing Tonic. 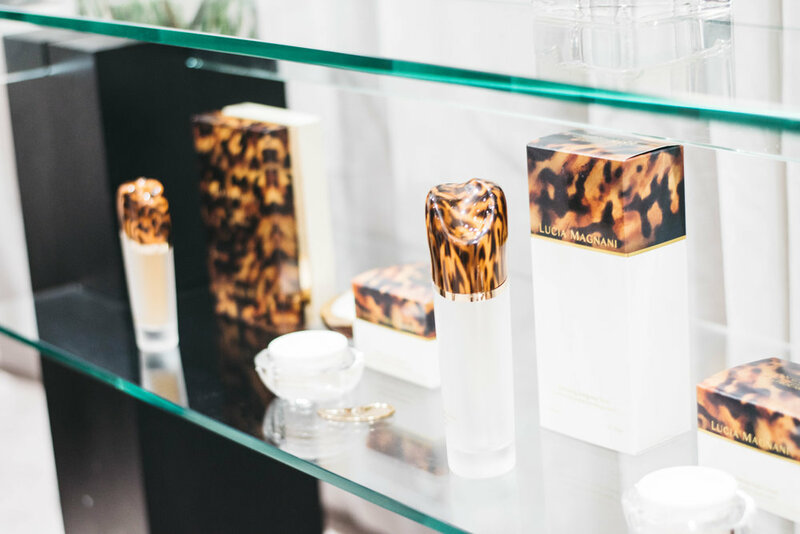 All the products are packaged beautifully and feature the signature tortoiseshell print and glass combination. The products all centre on 3 key elements: The Grape (OPCs that help prevent free radical damage), The Sea (that helps to preserve natural balance) and The Heart (the key ingredient of Quartz releases positive vibrations). Meeting Lucia and the team that she works so closely with, only continued to emphasise how passionate they all were about the skincare, but also the concept of wellbeing in a person. It was honestly incredible to get to hear first hand how the process behind the products developed. I'm so excited to share my thoughts on the products in a bit so please, watch this space! This was a paid for advertorial but all content is entirely my own and reflective of my own opinion.